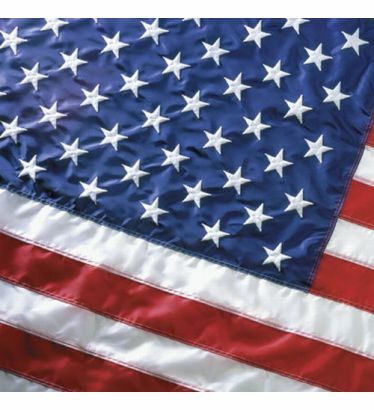 The 6'x10' US Commercial Basics Nylon Outdoor flag is offered to give you, the customer, a U.S. flag comparable to well known brands without the outrageous prices. These flags are 30% to 40% less expensive than the well-known, highly marketed brands. You'll recieve the same features these other brands offer such as 4 rows of stitching on the fly-end, sewn stripes and embroidered stars 200 Denier Nylon fabric without sky high prices. The price difference makes these flags worth a try. Try one and see if you don't agree that the quality is the same or better. 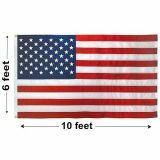 For Tuff Flags' Premium U.S. Nylon Outdoor flag with 6 Month Guarantee, CHEF Sewing Method, and Additional reinforcements, Click Here.